I have long wanted to make concrete counter tops. 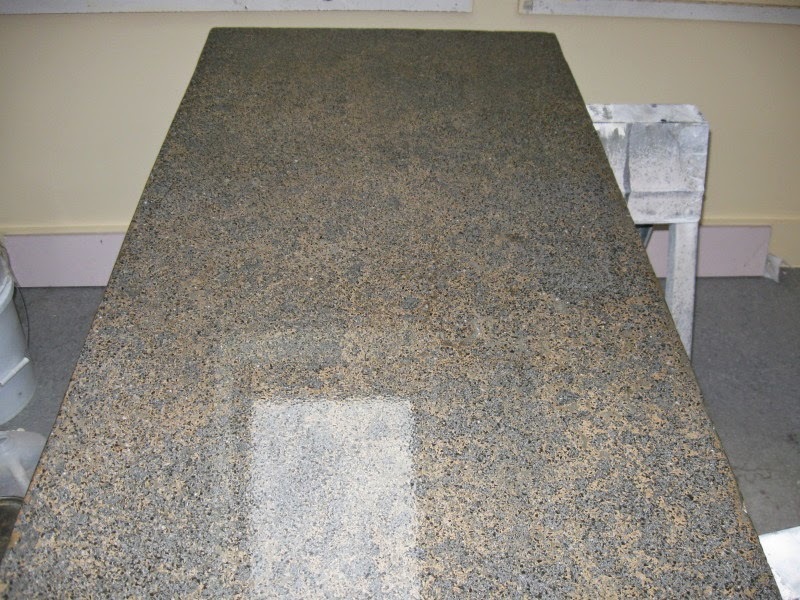 If you don't know about them they can be attractive and granite replacement. this is not mine but want I strive for. masons in north america can buy prepared mixes. I need to make my own. A friend told me about marble dust. I finally found some and have been playing with it. This is where I have reached. 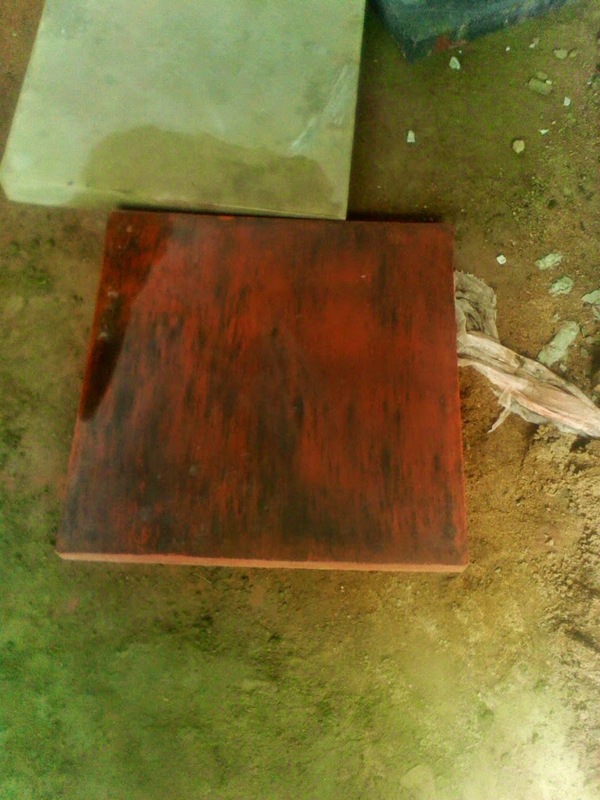 cement-sand-marble dust and some red color. then later some black color. When i seal it it will become shiny all over. I wonder how and where the marble dust comes from as it is pretty cheap. I hear that we have marble in Tanzania and wonder where it is found. 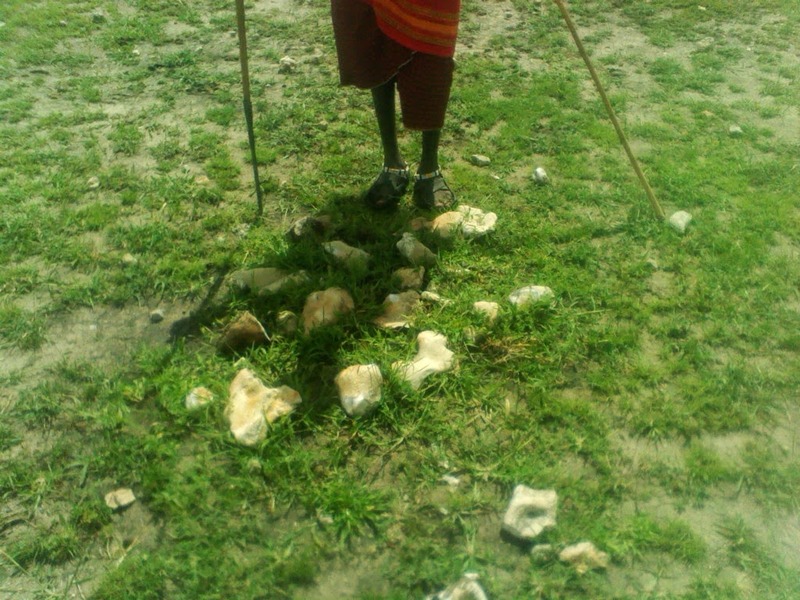 Easter Friday we go to a tented lodge camp and next morning we go for a walk and I notice these rocks lying around. I realize they are marble. And our guide notices my interest in them and says they are collected by trucks and taken to Arusha to grind them. This is un natural pile. 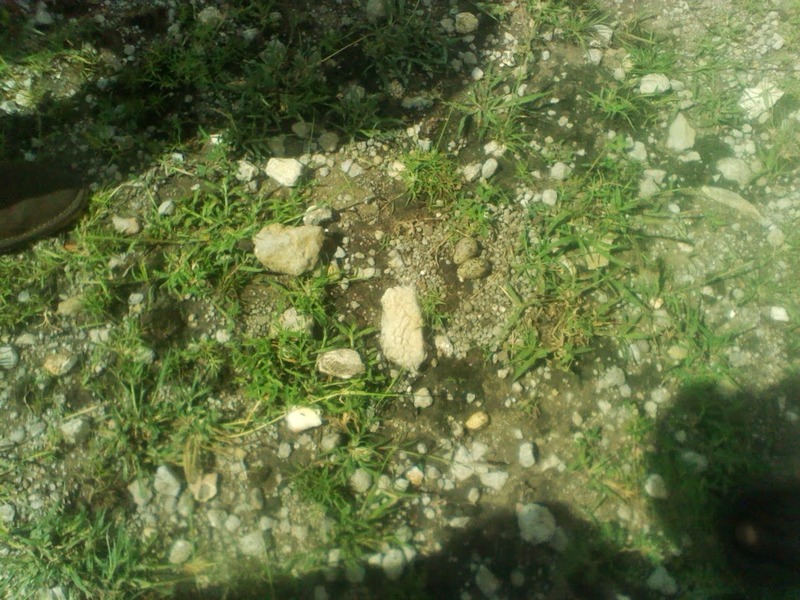 Some interresting examples for our rock collection. For years we have been asked for facing bricks. Well we are now making them. So they look the same after installing. The 3 rows at the top in the picture below are thin bricks. The are covering an exposed beam. This is what one guys stamps out in a day. Each mould makes four bricks.